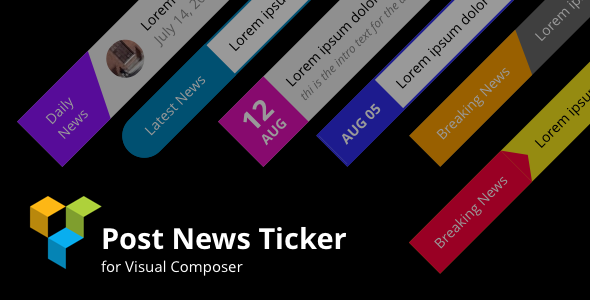 The best way to showcase your Post News Tickers inside of Visual Composer page builder. Choose from 6 customizable Post News Tickers layouts we created just for your needs. This pack is truly awesome and unique in its design and usability.